Arrived in Nov of 1969 and lived on Yokota until late 1970 when I moved living quarters to Tachikawa. I drove a little dark blue Japanese Hillman around the area - what a hoot! Bought it for $50 and sold it for $50. Worked in the Avionics shop in autopilot/compass. Mostly worked graves & 2nd shift. 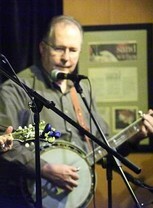 Started playing bluegrass banjo and guitar while there with Don ("Doc") Simmons. Played with others as well, but I don't recall their names. One, Roger?, in either radar or radio was an outstanding guitarist. We would occasionally take our instruments out on November 2 on the far side of the field. On other nights we played pinochle if the flights were slow. One night we all fell asleep in the van - we did not receive a very nice wakeup call on that one! Had a great time at Yokota. Also operated ham radio using the callsign KA2AH from the Tachi barracks. After several months doing that, got Bob Dochterman (KA2AA) who was a Radar guy to move in the room and together we put up a short tower and yagi on the roof. (Boy, that was fun getting permission for!) Great group of hams there in the Tokyo area, and we all met monthly at Camp Drake or Zama (I forget which) for the Far East Auxiliary Radio League (FEARL). I am happily "retired" as of April 2010, and now spend a lot of time doing musical stuff. My bluegrass-gospel band, named "Better Late Than Never" plays social events and nursing homes here in Austin. For four years I helped serve the bluegrass community as a board member and treasurer of the Central Texas Bluegrass Association. I'm also very active on amateur ("ham") radio, talking to other stations all over the world. In the barracks at Tachi, my roommate (Bob Dochterman, KA2AA) and I (KA2AH) had a radio station with antennas on the roof. After retiring, I got re-involved in photography, especially during summer trips. Duane Calvin (Avio) posted a message. Happy Birthday, John! I think I just heard a call for you on November 1. Ha, ha! Red ball! Happy Birthday, Bob! Hope you have a terrific day and a wonderful year. Duane Calvin (Avio) has a birthday today. Duane Calvin (Avio) posted a message. New comment added. Hi Bob - hope I’m able to make it to the 2018 reunion. 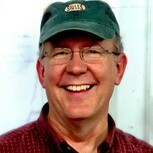 Duane Calvin (Avio) added a comment on his Profile. Duane Calvin (Avio) updated his profile. View. Duane Calvin (Avio) changed his "Now" picture. New comment added. Duane Calvin (Avio) added a photo to his profile gallery. Duane Calvin (Avio) changed his profile picture. Duane Calvin (Avio) joined via Class Connection Facebook app.